I love reading bonus scenes or watching bonus clips on television. If someone told me I could read about or watch Mr. Darcy and Elizabeth Bennet get married, I would be beyond excited. Imagination is great, but there are times when I don’t want to imagine or guess—I want to know! 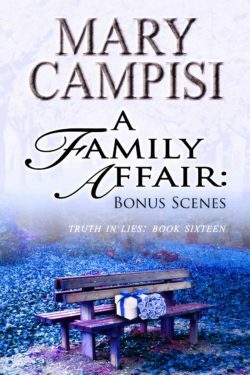 I even want to know when storylines change and what might have been… That’s why I created these bonus scenes and extras from several of the A Family Affair books. Wouldn’t you like to know what Nate Desantro was thinking right before he married Christine? And how about discovering Harry Blacksworth’s thoughts as he prepares to give Christine away? Lily is still one of my favorites and she’ll warm your heart with her innocent and yet spot-on observations about the wedding, life, and love in Magdalena. Don’t miss these and more in this collection of bonus scenes from various A Family Affair books. I loved writing these scenes and now I want to share them with you. Enjoy!